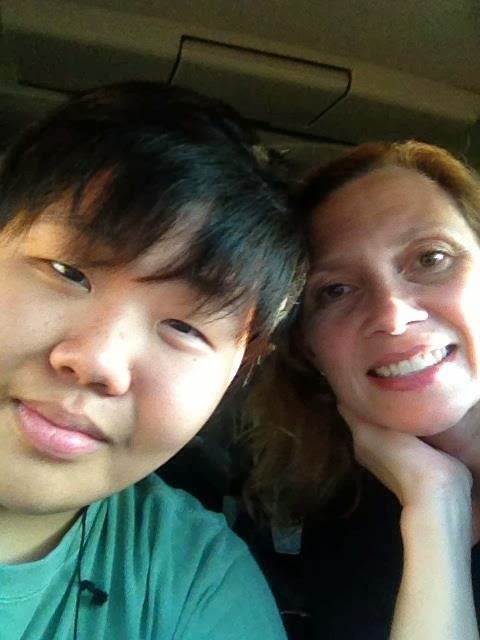 At 13, Jun Choi didn’t live a typical teenage boy’s life. Instead of shooting hoops or playing football in his spare time, Jun spent up to 10 hours a day in dialysis. He suffered from a kidney disease that required him to get a transplant that put him on a five-year wait list unless he found a donor. With the help of a neighbor – and now dear friend, Tresha Glowacki, Jun, now 17, is living the hectic, frenetic life of a high school junior. On March 7, Jun and Tresha will celebrate the third anniversary of their transplant as part of several activities during Kidney month (March 2014). One of the many activities orchestrated by the National Kidney Foundation (NKF) is to have cities around north Texas rally to paint their towns orange on World Kidney Day, March 13. “With 73 million – 1 in 3 – Americans at risk of kidney disease and more than 1 in 9 adults who have chronic kidney disease, it is incumbent upon all of us to help raise awareness about early detection and prevention of kidney disease,” said Neil Foote, board president for NKF Texas Division. had recently lost her son in a fatal accident. Glowacki’s friend asked her if she could do anything, particularly with her affiliation with Taylor’s Gift Foundation and organ donor registration. Glowacki learned that Jun was born with nephrotic syndrome, and after years of trying to save his kidneys, that were so diseased, he had to have a double nephrectomy (removal of kidneys) in June 2010. Although Jun was on the transplant list and had been moved up to a priority status, it still meant it could take three to five years for a donor. His life span was less than half of that wait time. After three people turned out not to be a match for Jun, Glowacki secretly began getting tested to see if she could be a donor “It was seamless, easy and a spiritual journey I never knew I would be so blessed to travel,” she said. There are no early symptoms of kidney disease. The only way to detect it is to be tested. Two simple tests can detect CKD: urine test for albumin(ACR) and blood test to estimate GFR. For more information about kidney disease or how to get involved with the National Kidney Foundation call 877.543.6397 or visit www.kidneytx.org. 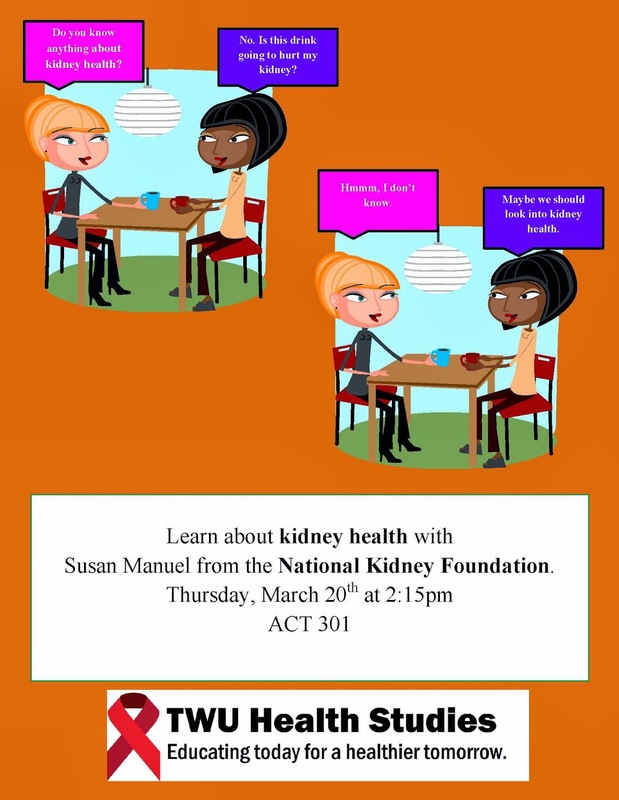 Join us on Thursday, March 20th at 2:15 in ACT 301 for a presentation on kidney health by Susan Manuel, Program Manager for the National Kidney Foundation. Youth Sports Today is owned and operated by Tresha Glowacki, a resident of Coppell, Texas, mother of 5. Tresha is involved in her community and others as she has athletes of her own to watch, cheer on and snap those awesome action shots of. Tresha enjoys sports of all types and strives to sponsor and promote as many youth athletes as possible. Serving on the Board of Directors for The National Kidney Foundation, PTO of her kid’s schools, Coppell Family YMCA and Partnering with area Professional and Semi-Pro teams, Tresha is dedicated to serving others and Paying It Forward.